The Swiss psychiatrist Carl Gustave Jung (1875–1961) was one of Freud’s closest collaborators until he broke off to form his own school of analytical psychology. While clearly grounded in Freudian psychoanalysis, Jungian analytical psychology moves away from the dominance of libido and toward a mystical understanding of the human unconscious. Interestingly, Jung came from a long line of clergymen. His father was a minister in the Swiss Reformed Church. 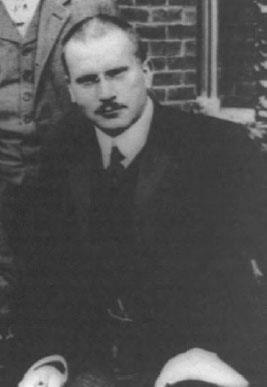 Fairly early in his career, Jung worked in Zurich at the renowned Burghölzli clinic under Eugen Bleuler, a prominent psychiatrist and the originator of the term “schizophrenia.” Here Jung became involved in research with word association, detecting unconscious meaning through the way people grouped words together. This work led him to Freud’s psychoanalytic research and the two men met in 1907. An intense and dynamic collaboration followed but ended acrimoniously in 1913 following a 1912 publication in which Jung was critical of Freud’s work. From 1913 on, Jung referred to his own work as analytical psychology to differentiate it from Freudian psychoanalysis. Carl Gustave Jung (1875–1961) was a protegé of Freud who broke away in 1913 to found his own school of Analytical Psychology (Library of Congress).